One of the best ways to boost community and reader engagement on your WordPress site is to create a ‘questions and answers page’. In this post and video tutorial, you’ll learn how. 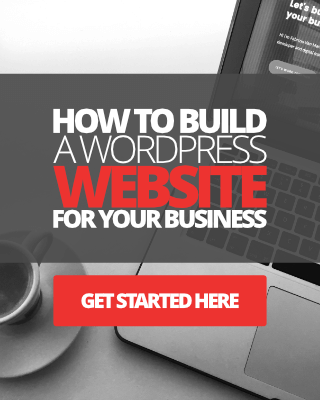 With WordPress, creating a Q and A page is possible in the simplest way imaginable, and I want to share with you how you can do this using a very simple lightweight plugin. A few weeks back along, I started to revamp one of my micro niche websites, (a parenting website targeted primarily at dads). One of the features a lot of the folks on my parenting blog community was asking for was a page where they could post their questions so that other users and even the site admin could post answers and comments for. 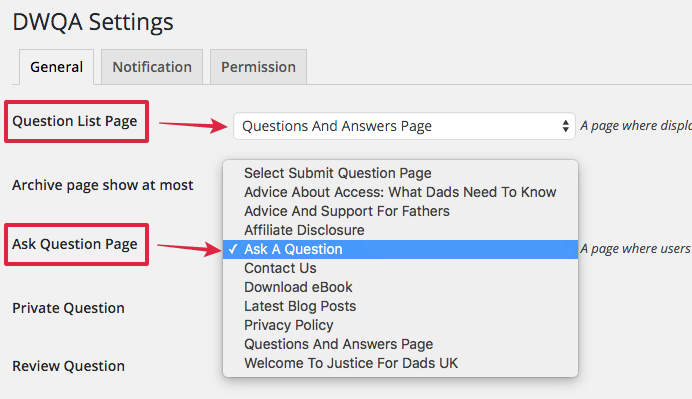 Well, while I’m still in the middle of configuring this over on my parenting niche site, I thought it would be a great idea to create a short tutorial post with a video here on Magnet4Blogging to show you how you can do the same for your WordPress site. If you want to skip reading the post and check out the tutorial video instead, feel free to scroll on down to the bottom of the post. OK, so the first thing you want to do is head over to the WordPress repository at WordPress.org and find the DW Question & Answer plugin for WordPress. 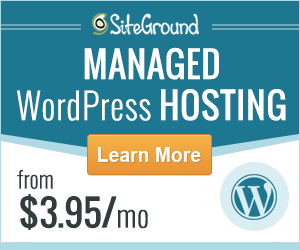 Of course, you can also access this plugin from your WP dashboard. Install it and then hit the activate plugin button as per normal. As of updating this post in January 2019, I’m pleased to say the plugin is still active and frequently updated by the author. When you activate this plugin, by default two new pages will have been created inside your WordPress site: DWQA Question and DWQA Ask Question. 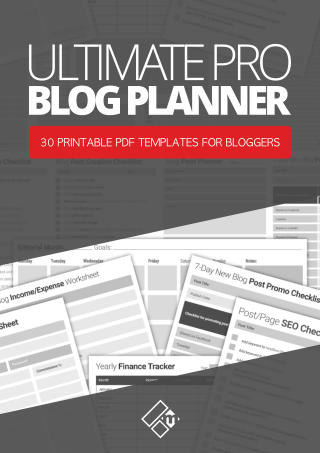 You can either edit and customize these pages to your liking, or do what I did and create two completely new pages with your own custom page name and URL structure, and, of course, your own custom content. What I did afterward was delete the default pages that were created by default, you can do the same if you wish. 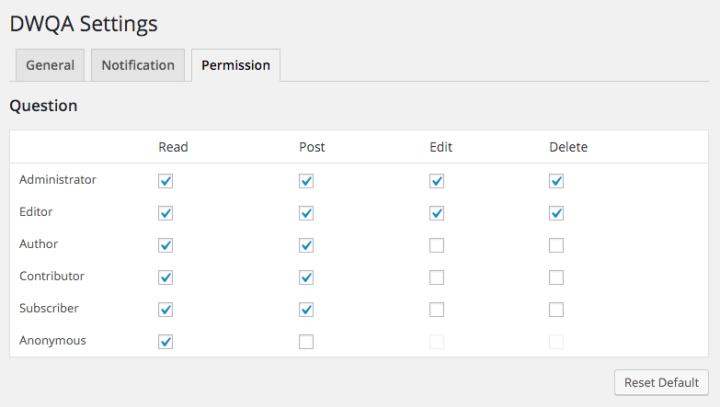 The next thing you need to do is enable user registrations on your WordPress site. This is a very simple procedure if you don’t already have this enabled. Simply go to settings > general and check the box that says “anyone can register”. Make sure the “subscriber” membership level is selected. Now I want to explain something about allowing user registrations on your WordPress site, just to divert off topic slightly, but it’s important. At first, I was a little skeptical about doing this for my niche site, simply because I already get a ton of spammy / bot user registrations everyday single day to that site. 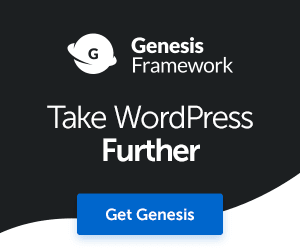 I know there are a lot of other WordPress users out there experiencing the same kinds of problems, and of course, there are many ways in which to work around this. I installed another plugin called WPS Hide Login. This is also a lightweight plugin that will enable you to change the permalink structure of the login page in WordPress. This simply means that anyone trying to access your wp-login.php page will see a 404-error page instead of the actual login page to your site. You can name your login page whatever you want, but just be sure to make a note of it somewhere so you don’t forget it yourself. Consider doing this to add an extra layer of security for your login page, simply by hiding it. It works wonders with the DWQA plugin. After all, you want to attract real genuine subscribers that want to post real questions to your site, and not spammers, right? Read: Check out my tutorial for changing the login URL permalink here. OK, so the next process of creating a questions and answers page for your WordPress site is to configure some settings in DWQA. After installing the DWQA plugin, go to DW Q&A > Settings, you’ll arrive at the general settings page. I won’t dive into every single setting on this page because most of them are simple to understand and configure. However, I want to highlight a few of the essential settings. In DWQA you can assign your “question list page” and your “ask a question page”. 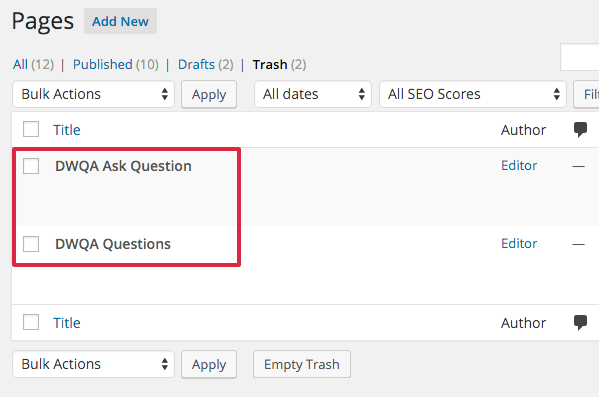 As I mentioned at the start of this post, I created two completely new custom “question list” and “ask question” pages to assign to these two settings in this tab. So next you want to configure settings for outgoing email notifications. These are the email notifications your users are going to receive in their inbox when someone responds to a question or places a comment. 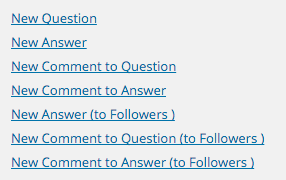 In DWQA you can configure the settings for a new question, new answer, new comment to question, new comment to answer emails and more. When customizing your email notifications, you can add your site logo, custom content and even change some of the layouts to match your site design. Do check out the tutorial video below, for more a detailed look at some of the options on this page. So the last tab we have to configure is permissions, and this is very easy to do. On this page, you can choose which membership levels have access to certain privileges. 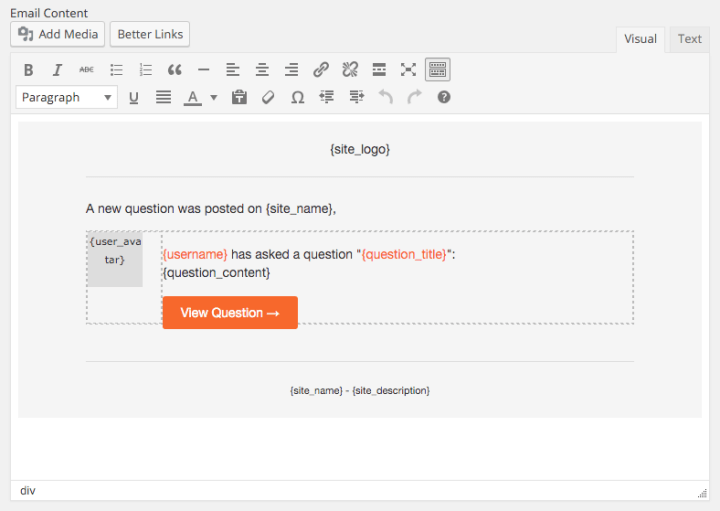 For instance, you can give your site admins and editors full access to posting, reading, editing and deleting questions. Whilst only allowing subscribers or anonymous users to read and post questions. See image below. 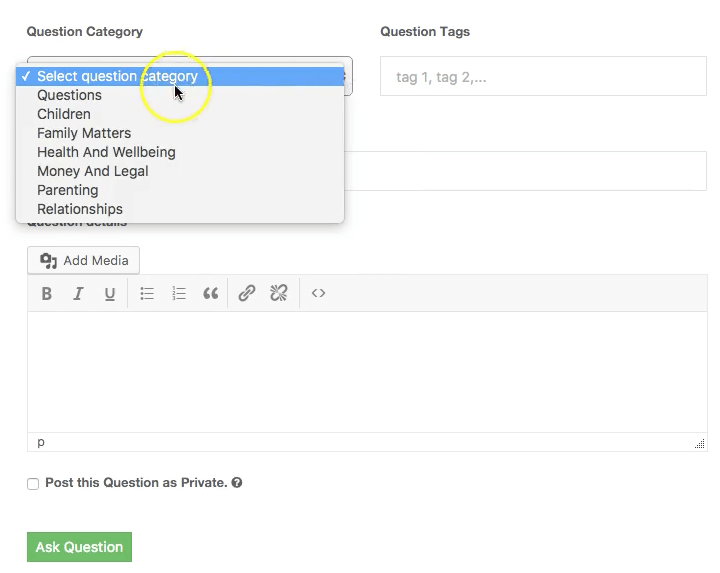 You can also add categories into this plugin, very useful for better organization of your questions and for making it easier for your users to post questions relevant to a specific category on your site. In a nutshell that is pretty much it when it comes to configuration. You can test the “ask a question” page to see what it will look like to your site visitors and make whatever changes you need. I’m still configuring the settings for my niche site “question and answers list” page, so currently I can’t show you what the page will look like as I haven’t received any questions as of yet. Here’s a screenshot of what the “ask a question” page looks like after my configuration, however. Right, I hope you’ve enjoyed reading this short tutorial post. In the short video tutorial I created below, you can see in greater detail how to configure this plugin correctly on your WordPress site. If you have any questions please leave me a comment below, or on YouTube, I’m here to assist you the best I can. Perhaps you’re already using this plugin on your site if so, let me know how you’re getting on with it. I saw this post over on Google+ the other day and loaded this bad boy up so I could come and see what you had cooking. I’ve thought about a page like this before but then decided against it due to how much time it would take to not only get it all set up but to be there to respond to everyone and moderate the questions and answers. I can see where a plugin would probably cut down tremendously on the time it would take to build this portion of the site. This was really quite interesting so thanks for sharing it with us. I have the pro version installed. I can ask a question. I can see the list of questions, but if I click on a question I get a blank screen. I turned off all other plugins to test it and still…blank screen. So, basically, no one can answer or comment. I tried this on Chrome and Microsoft edge. Hi Jeromy, thanks for the heads up, that’s interesting. I’ll take a look at this on my niche site and see if this is the case too. I’ll post my findings here shortly. By the way, I have read a lot of “solutions” but all point to plugins I don’t have.